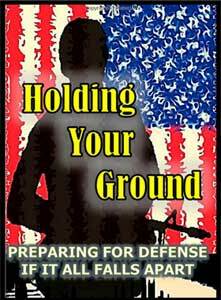 I recently received a copy of a new book entitled, Holding Your Ground: Preparing for Defense if it All Falls Apart . This book is primarily an instructional guide that addresses an often overlooked aspect in prepping literature: defending your home during a SHTF situation. In this post, I’ll be taking you through a chapter-by-chapter breakdown and overview of this book and hopefully you’ll have a better idea of whether it is worth the buy. Since the real meat of the book begins with chapter 3 (chapters 1 & 2 are intros and how to use the book) I’ll be starting the in-depth review there. The first two chapters are basically just an introduction into what the book is going to be about and how you should use it. The intent of the author is not to have you passively read the book cover to cover but to get you to actively assess (through the process that the author lays out) what the status of your defensive capabilities are and how to increase them. Do no Harm – Will this cause harm to my property value, family lifestyle, moral character, code of values, or position as a law abiding citizen? 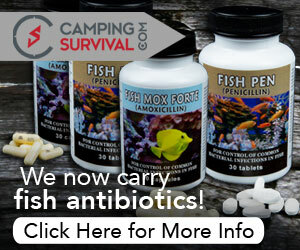 Dual Purpose – Can this item be used beyond emergency (ie bugout gear can also be camping gear and food storage can be used day to day)? Avoid People – Will this help me avoid people (since people will be the source of problems in TEOTWAKI)? Ease of Use – Can my family operate or use this? This prep or plan should not cause further problems. Look to the Military First – What does the military use or how would they plan for this? Must Work at Night – Since movement or problems may happen at night, can this be used or carried out when there is no light? The Event: The start of the timeline. This is the trigger that kicks off your plans. This could be anything from a local tornado to a nation-wide EMP blast. Social Grace: After the event has occurred there is usually a small period of time where people try to work together to get themselves through the crisis. This is a time of safety and security and if it’s a small crisis, life typically goes back to normal. Realization: If the event is severe enough, realization will set in. This is the stage in the timeline where self-centeredness begins and security is on a fast decline. (For example, this is the period of time where looting happens). Desperation: As time goes on and help, food, security and other basic needs are not met, desperation sets in. This is the time where it starts to get very dangerous and normal people (out of desperation of course) begin to do things they otherwise would not to get those needs met. Reorganization: At one point or another, humans will organize. How quick this happens depends on the severity of the event, but eventually it will happen. Safety and security are again on the rise when this stage sets in. In chapter 5, the author begins having you actively analyze the place you are planning to defend. By using the spreadsheet he provides, you will rate your property based on each of the factors he lays out in this chapter. Regardless of whether you are bugging-in or bugging-out, you will need to be ready to defend wherever that location is. This can be a home, campground, apartment, or underground bunker. Population Density: This is the overall density of people living in the surrounding area of your location. This gives us an insight into how many other people we would need to potentially deal with. Proximity to major roadways: Even if your immediate surroundings don’t contain a lot of people, if your close enough to be reached by car then this could also pose a problem. Physical Area to be defended: This defines the size of the area you plan to defend. The larger the area, the greater resources you will potentially need. Visibility: This relates to how “visible” your location is to the surrounding areas. Being a well-lit beacon at the top of a hill can be detrimental if there are swarms of food pirates roaming the streets. Some other factors the author briefly covers as important are things like having the high ground, multiple positions and angles of defense, and barriers of access to your property. Each of these are covered in more detail in future chapters. Chapter 6 makes up the meat of this book. In it the author takes you through an in-depth analysis of the assets and capabilities you have at your disposal for the purpose of defending your location. For example, some of what you will be analyzing in your own situation is the group of people (your family, your survival group etc) who will be counted on to help you defend your location. You’ll take a look at the attributes/skills (shooting, combat, fitness, medical, psychological etc) each of these group members has and apply them to an overall “group rating”. Depending on the score of the “group rating” as well as the “location rating” determined in chapter 5, the author recommends whether it makes more sense to shelter in place, or bug out to an alternate location. And wherever that final spot ends up being, whether a passive or active approach to defending that location is best. Creating a passive defense involves staying “invisible” to those who would seek to invade your property for whatever reason (food, resources etc). This includes physical barriers that restrict trafficked areas from viewing your property to making your property look so unappealing or already looted that people would pass it over. An active defense is the opposite in that you project “strength” (real or feigned) so that would-be attackers would rather seek out weaker targets. Diversions and Deterrents: Deterrents are what prevents someone from attacking you because you look or are strong. Diversions on the other hand are distractions intended to draw off attention from the point of main attack with the purpose buying you some time to either gain the advantage or bug out if needed. Light discipline: This involves hiding your light at night so as not to draw attention to your location. Noise discipline: Noise is something that can be difficult to completely prevent (especially if you have younger children) but should be something to be aware of if discreetness is a concern. Multiple Angles of Fire: An important determinant when assessing the feasibility of defending your location is the number of positions you can fight from (or how many angles can you shoot at an attacker). The ideal you want to reach is to be able to spread out your defensive positions in multiple locations on your property (home, barn, etc). This prevents the attackers from having one single area to focus in on which makes it more difficult for them to defeat you. Fighting Positions: In this section the author details how to best set up defensive positions throughout your property which allow for the best observation, cover, accessibility, and concealment. Chapter 7 continues where the previous chapter left off by delving into the area which surrounds the working area of your location. The location is considered the central ring and it is where you operate on a day-to-day basis (the area which contains your dwelling, yard, garden, barn etc). The area outside of that is your perimeter. This perimeter can be further segmented into two zones an inner ring closest to your location called the “observation zone” and the outer ring called the “patrol zone”. Your defenses need to be progressively stronger as the enemy moves from outer to inner rings. Your observation capabilities should increase as the enemy moves from outer to inner rings. Your Early Warning Systems (EWS) should become denser as you go from outer to inner rings and.. Your Area Denial Systems (ADS) should become more effective as an enemy goes from the outer to inner rings. The remaining sections of this chapter details the strategies the author covers for perimeter defense. He covers the importance of creating range cards, the different types of electronic EWS you can employ as well as some manual and DIY systems. He also gives some examples on how to integrate your EWS with your AWS to further tighten down your location. I thought there were some great details listed in this chapter that can be implemented in many locations: rural, suburban and in many ways urban as well. Chapter 8 goes into a bit more detail on how you can improve your group rating. Basically he talks about having the members of your group — who are capable of handling firearms — get training. He also briefly covers some other important skills that should not be overlooked like small engine repair, EMT or advanced first-aid training, gunsmithing etc. For those of you living in a low-rise apartment or condo, the author gives some tips in this chapter on how best to protect yourself if you were forced to shelter in place. He covers some of the advantages and disadvantages as well as provides details into overcoming some of the primary disadvantages. If you are currently a renter and are looking for a place to stay, the author also gives some recommendations on what to look for in a place which will provide you the best defensive/offensive advantage. Chapter 10 is for the prepper who lives in a highrise apartment or condo (ie skyscraper). To the author’s point, this is the least advantageous place to be in if the SHTF. Although it provides good views and overwatch positioning, you are pretty much trapped if something were to happen on lower floors (the main problem being fires). 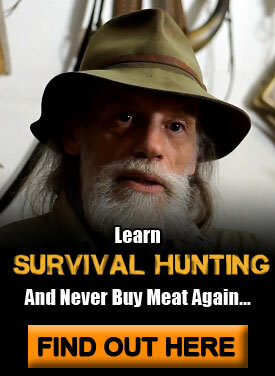 He recommends finding an alternate bug-out location. If this is all you have right now, he does offer some advice and tips into making the best of your situation (many of the tips from chapter 9 will apply here as well). 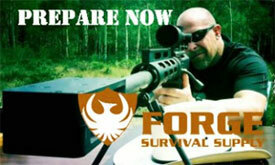 This chapter will surely be a point of contention for many preppers — especially those with weapons experience. Even though I don’t agree with everything the author’s puts forth in this chapter, I do feel overall he is right on the money and this is a fantastic chapter for those just beginning their purchases of survival/defensive firearms and optics. He basically covers what types of weaponry you should purchase, giving considerations on ammo type and budget, as well as optics and other accessories that will help in protecting your home. If life ever gets bad enough that you are required to defend your home from bands of looters and and other less-than-savory folks, the rules of law will no longer apply. The position everyone should take when contact is made or approaching people are detected. The action eveyone should take if fired upon. Will your group accept new members post event? In the final chapter, the author delves into his own situation and location, essentially going through the process of rating his group and location as layed out in this book. Overall I found this book to be an excellent addition to any preppers library. It addresses an often left-out part of most prepping literature and the author’s ability to relay that information in an easy-to-understand manner is one of the best parts of this work. For those of you with infantry/combat training, many of the ideas here will be old hat for you. But for the non-combat trained person this will help to go a long way in improving the defensive capabilities of your location. As far as criticisms of the content go (don’t be dissuaded by the cover), I do not have many. In some cases though, like the section on hiding your location by making changes to the facade of your property or implementing large-scale camouflage, I really wanted the author to get into more detail around the “hows” of things, specifically showing some actual examples. I felt he only touched upon this subject. On another note, the author references other publications (like in the sections on tactics) but does not state which publications to read. A bibliography or recommended reading list would have been a great addition. All in all, Holding Your Ground is a fantastic book and has opened my eyes to where the weaknesses are in my own location and defensive plans. I highly recommend you picking up a copy of this book. Thanks for the review, Eric. Sounds like one I should pick up – is it available through TIs storefront? I haven’t updated the storefront yet with this book but if you click on any of the links on this post I’ll get the credit for it. Thanks for the support, greatly appreciated! what format is this book available in? It’s available in both Kindle (ebook) and softcover format at this time.